If you need help or attention to a problem, please leave a note to all Admins HERE or for me HERE, and you'll get a response as soon as we can. Remember: don't edit others' User Pages. Leave notes for them on their discussion tabs. Thanks. Let's see: I used to be quite active on Heavy Metal's forums when I discovered the value of Rick Raisley's suite of programs (probably around 1999), though my involvement has dropped off in some years. 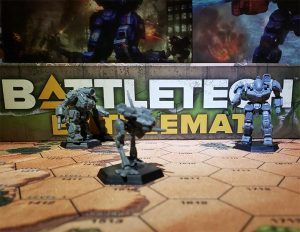 I've lurked on the various incarnations of the official BattleTech boards for longer than that, only recently becoming active in the community (though I've been around long enough to see my post count started three times with the various board wipes). Before that, there was Sarna and the Usenet, though under a different handle. I made my first post on 17 September 2006, and am -as far as I know- the oldest, active registered user on the wiki. I'm particularly proud of article #5,814: the Brotherhood of Randis. I researched this article thoroughly before beginning writing it. It was a demonstration to Frabby and Scaletail as to how how I saw the ideal article was to be formatted and analyzed. It led to the creation (though far from as well-formatted) (or further development) of the following articles: Galahad Frews, Lucas Beckett, Fiefdom of Randis, Randis IV, Erdelmaine Randis, the John Paul II Square Massacre, Sandro Manufacturing, David Pratcher, Takahiro Naguchi and Rupert Masterson (and possibly Universal Truth). I'm also proud of article #8,185: the Unfinished Book Movement. I couldn't leave the inspiration for the name of Project Unfinished Book as a redlink, so I hit the books and PDF files. Hopefully, I'll get around to making that article redlink free, itself. Probably my most proud BattleTech-related project: The Industrial Tycoon's Handbook (forum), rules developed over years (and once backed-up here on Sarna) on how to build and operate factories within the Inner Sphere. A LOT of input was gathered from members of my now all-but defunct sci-fi forums and from names familiar to those in the BattleTech field (both writers and fans). Note to self: for important or non-critical issues, I generally wait 5-7 days for a response before taking action. If its a matter that is timely or important to me, I may wait much less (though I try to abide by established policies). Personal templates: personalized templates for use as an admin. Essay to guide the Project: Planets overhaul. Nicjansma: Our admin and our host. 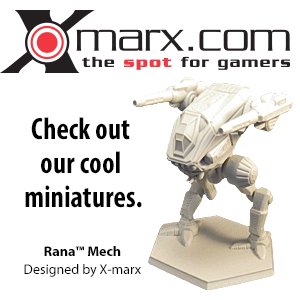 Thanks for doing this, both with Sarna and BattleTechWiki. The latter has already eaten up a lot of my personal time, but its been fun. Scaletail and Frabby: The last few weeks hammering out policies have been very productive. Instead of feeling like I was just generating policies willy-nilly, now I feel as if my POVs are being challenged and changed accordingly. Thanks for the professionalism and willingness to either stick to your guns or give in when necessary. You've really helped build the cornerstone of policies here at BTW. Doneve: If BTW had an engine, Doneve would be it. Point him at would should be an automated task and he plows through it...at all hours. 08 September 2006 - The wiki that will become BTW makes its initial appearance. 11 September 2006 - BTW is born. 14 September 2006 - Nic posts on the CBT forums that, "I've converted Sarna.net to a wiki format." I immediately question why BattleTech needs two wikis (hey, I chose sides too quickly!). 17 September 2006 - I make my first edit on BTW: an addition of information on Talitha, my favorite CBT planet. 03 October 2006 - Nic approves my entry for the new design of the Main Page. 04 October 2006 - Nic promotes me to Admin (the first one), to give me greater authority to work on my improvement projects. 24 November 2006 - BTW earns its money with me, when I turn to it first for information on Randis IV. 10 March 2007 - I embark on a Federally-mandated wikibreak. 06 December 2007 - I return from my first significant wikibreak. Summer 2008 - Really kicked into Warden-overdrive, spurred on by the efforts of Scaletail, Frabby, Cyc and Ebakunin. 01 January 2010 - Easily three years after first contemplating and working on the concept, the Awards project is unveiled. Yay, me! 07 February 2010 - Nic awards me the first Founder's Consistent Service Award, the only time I'll be eligible to receive it. 09 December 2017: Thesis complete and only 22 of 9,780 days left in uniform...maybe more time to write, write, write? "Good news, everyone! I've invented a device which makes you read this in your head. In my voice! This page was last edited on 23 June 2018, at 21:32.